It’s Commandment No.10, the last in the list in Exodus 20. Its place at the end of the list does nothing to diminish its significance, however. This commandment carries a breadth and scope that touches everything about us. It’s a rule about our wants and how we deal with them. “Covet” is not a word that’s used much in these days. It involves setting our affections on what someone else has. We live in an age of constant comparison and instant gratification. We want what we want and do all that we can to get it. The social media phenomenon exacerbates the situation. We can see what so many others have, and what they are doing with themselves. What others have can trigger the wanting within us. And this is where things go wrong. God decreed that we must learn how to say no to that impulse. It is important for us to learn how to refuse feeding the feeling of covetousness, the feeling that we have to have and hold what belongs to another. Commandment No. 10 completes the cycle of words that, according to Moses, God wrote with His finger on tablets of stone. The Decalogue should be seen as a whole; taken together these rules should serve us to govern all of life. Love God above all things (Commandment No. 1) and the rest of the commandments come easy really. 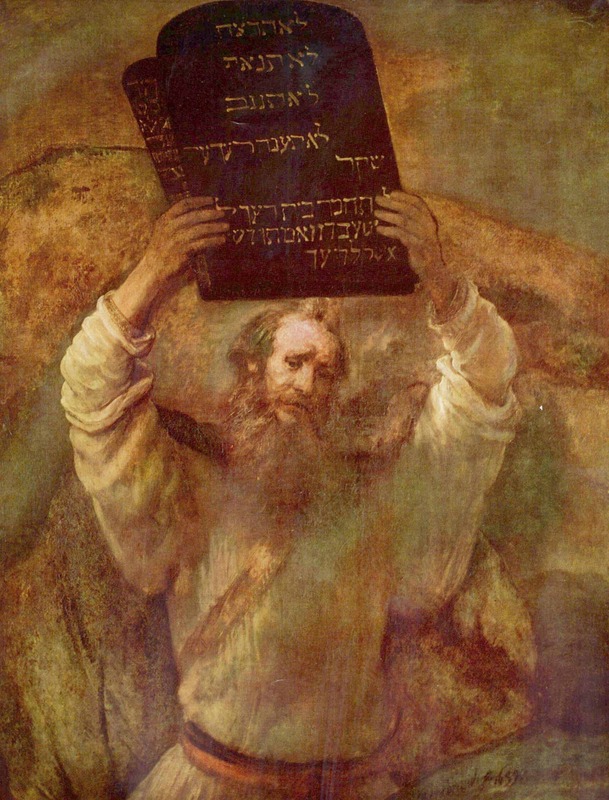 Jesus actually indicated this with His answer to the scribe who asked, “What commandments are the greatest?” Jesus, in essence, compressed the 10 rules into two — “Love the Lord your God with all your heart, soul, mind, and strength and love your neighbor as you love yourself” represented the whole of the Law, said Jesus. Love your neighbor as you love yourself. To love ourselves as God loves us is the key to it all. When we have trouble loving who we are, then we can be easily tempted to covetousness. We want what our neighbor has because we are unhappy with who we are and what we have. God made us according to His design, but we sometimes find it difficult to rest content in that design. The church at Corinth received strong rebukes in Paul’s letters for the comparison and the contention among its members regarding the gifts that the Spirit gives to believers as He wills to give them. Near the close of 1 Corinthians, Paul instructed the Corinthian believers to “covet” the best of things – an ability to love with God’s love. We are members in particular of the Body of Christ. Jesus, He is all and in all (Colossians 3:11). Our differences and diversity are something to celebrate. If we were all thumbs nothing would get done for Him or for His Kingdom purposes. Love your neighbor, love yourself. It’s a simple formula, but an impossible one to put in practice in ourselves. Only by the power of the Spirit can we see ourselves as God sees us and see others He sees them. The Lord sees us a whole in Christ, robed with His righteousness. We received His mercy and grace and became new creatures in Him. Everyone – every neighbor who is about us – has the potential to be new in Him. The Spirit can equip us with this holy point of view. As amazing as that truth is, a subtle, poisonous form of covetousness can creep in. It is the thought that we can add our work to the Finished Work of Christ. Yes, we can covet a place in the work of grace. It sounds crazy, at least to me it does, that some do want a part to play in God’s plan of redemption. Salvation by grace seems too easy for them. It is not by works of righteousness that we do but according to mercy that He saves us (see Titus 3). Salvation is of the Lord (Psalm 3:8). It’s strange but true that we often covet things that belong to God. We demand justice on our terms and forget that all vengeance belongs to Him, the Father of all mercies. Many people nurse grudges and allow wounds to fester as they remain embittered and unforgiving. Wounds that remain unhealed are open to infections great and small. Can we allow someone to pour the oil? Can we let the wine be applied to our sore? The Good Samaritan, in Jesus’ story, did this for a battered, wounded traveler. Samaritans were undesirable people to the Jews of that day. The reality was that these people could be kind and generous and helpful and godly. Perhaps, there are times when we just don’t want to be healed the way Jesus wants to heal us. We’d rather a Samaritan not touch us; we’d rather not participate in the fellowship of the saints where we could meet a friend indeed. We want things done on our terms. We won’t allow ourselves to see that our brokenness is meant to be mended. We covet sympathy and attention. That’s Commandment No. 1, isn’t it? He is the Lord of all. He hurt for us so that we can bring all of our hurts to Him. Let’s not let our wounds and sores become idols that demand our constant attention. Let’s worship Him in Spirit and in truth. For more thoughts on our life in Christ and His Body, check out “The High Priority of Unity,” a message preached by Thomas Schaller, Pastor of Greater Grace Church in Baltimore.